If you take a walk around Marin County today you will likely see phone books, covered in plastic, laying around the street, floating in gutters. I just did. Instead of just walking straight to the recycling bin with my phone book, I decided to take the time to figure out how to opt out of receiving this dinosaur in the future. 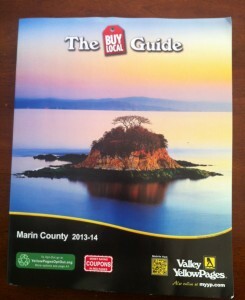 I have to say Marin County Valley YellowPages is making an effort to be more environmental and they do offer an opt out Website address right on the front cover, however, I’d rather an opt in effort than and opt out but hey it’s a start. Fill out the form. (Not so pleased it is required to ‘register’ before opting out). Provide them with your full name, email, telephone number and home address. Log in to email to receive password and further instructions. Follow instructions in email back to Website to log in with your new random password. Log in. Click on blue button which reads, “Make Selections Now”. Read opt out agreement and check box next to this statement: I have read and understand the above disclaimer. 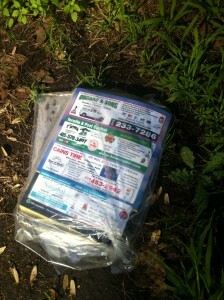 Are you are a business owner wondering how the heck you will advertise your services without the phone book? Have you considered trying social media? If you need some support or training in how to use social media for your business, contact me for a consultation. I offer customized one on one trainings.